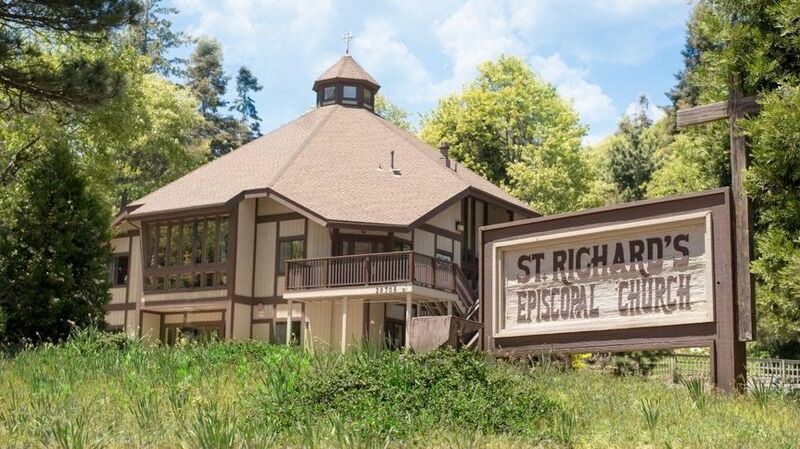 St. Richard’s Weddings and Events is a gorgeous, rustic venue for your wedding celebration in Skyforest, California. This reasonably priced locale is open to all, no matter your religious denomination or whether your event is secular. Their charming spaces can easily be transformed to make it the day you’ve always envisioned. 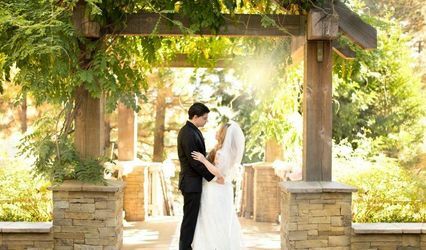 With stunning views and a fairytale setting, St. Richard’s Weddings and Events is the ideal combination of outdoorsy and elegant for couples looking to celebrate an absolutely dreamy wedding day. 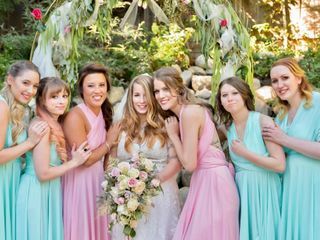 This cozy venue offers three unique spaces that can accommodate up to 80 of your nearest and dearest. 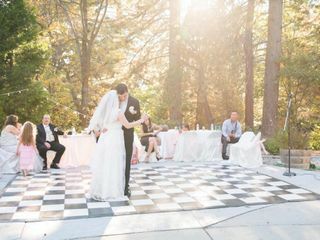 Their quaint sanctuary hall is a lovely space to celebrate your ceremony under a hardwood ceiling, surrounded by plenty of windows for natural light. 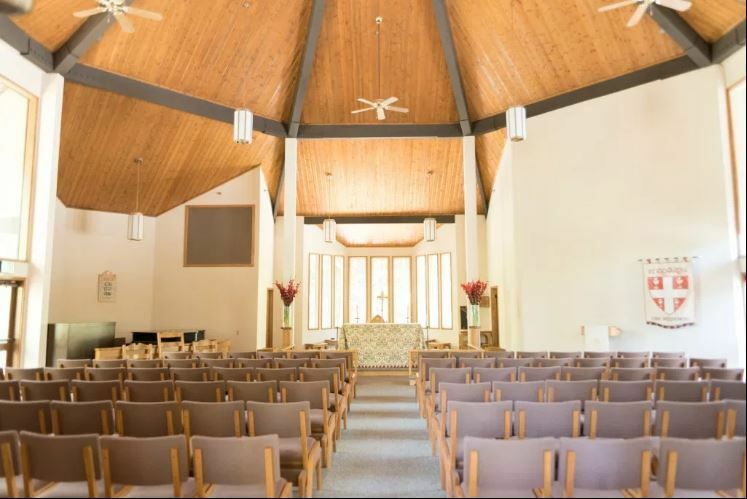 The Parish Hall, their main event space, is perfect for dining after you say “I do,” and ready to be decorated to create a space that’s perfectly in line with your vision. 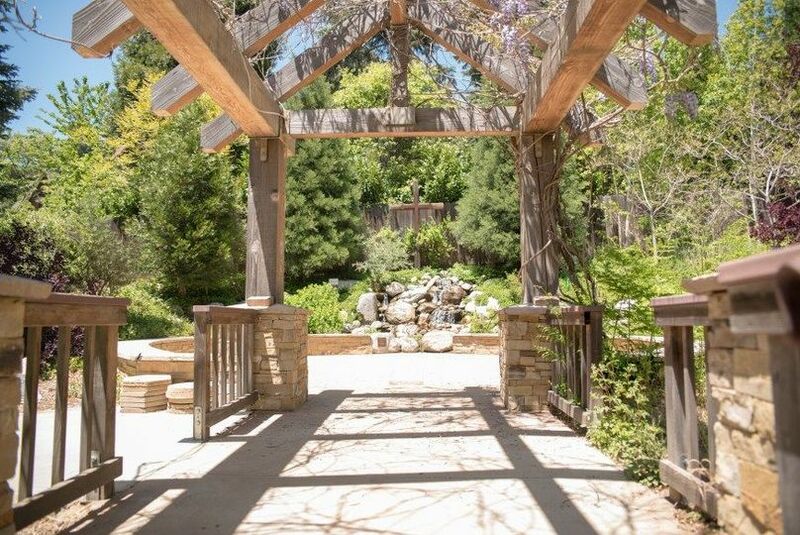 The outdoor garden and open patio space is a stunning area to celebrate and dance the night away, or even as an option for your ceremony or wedding portraits under the rustic canopy. A stunning water feature makes a relaxing addition to the space. 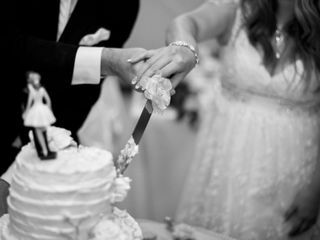 Host all of your wedding festivities at St. Richard’s, from your engagement party and bridal shower to the rehearsal dinner, ceremony and reception. Elopements are also welcome in this space. 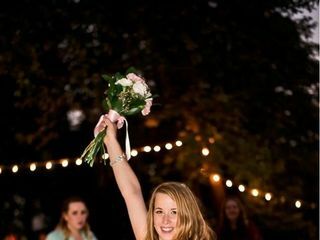 The experienced staff at this venue will assist in planning your special day and work with outside vendors to ensure a seamless experience. A bridal suite is available for same-day preparations, making it easy for you to get ready prior to your ceremony. This venue is also pet friendly, so your furry friends can join in on the festivities. A full kitchen is available onsite, and tables, chairs flatware and glassware are available as well. This venue is wheelchair-accessible, and offers onsite parking. My husband and I got married at St. Richard's in early August. The church is beautiful from the inside out. We took pictures in their beautiful garden. From beginning to end, our ceremony was perfect. St. Richard's is a beautiful place for a wedding ceremony. They're up in the mountains. The view is gorgeous. The staff is great. My husband and I had an amazing experience at St. Richard's! The venue is beautiful and intimate, they allowed us to have a full bar, we were able to bring in a non-religious officiate (it was my husband's father), and the wedding coordinator was attentive and SO helpful (ask for Kristen! ), the location and parking was perfect, and to top it off, the price was more affordable than anywhere else I looked! 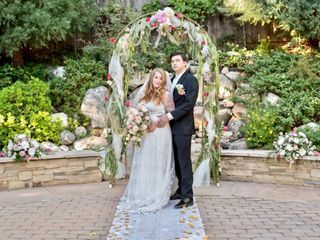 We got married October 7, 2017, and the garden was still absolutely beautiful. 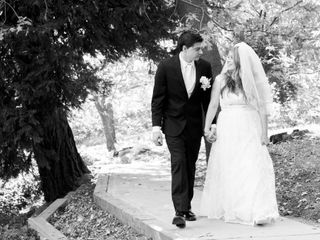 The church has a great option for an indoor or outdoor ceremony. Indoor has natural wood surrounding the walls, beautiful high vaulted ceilings with glass. If weather didn’t permit for an outdoor wedding, we had the option to move indoors, which I loved. 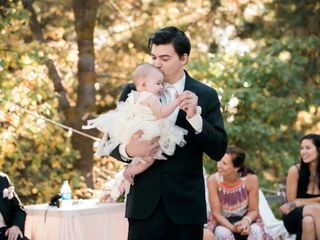 Our wedding day ended up being the perfect outdoor ceremony. 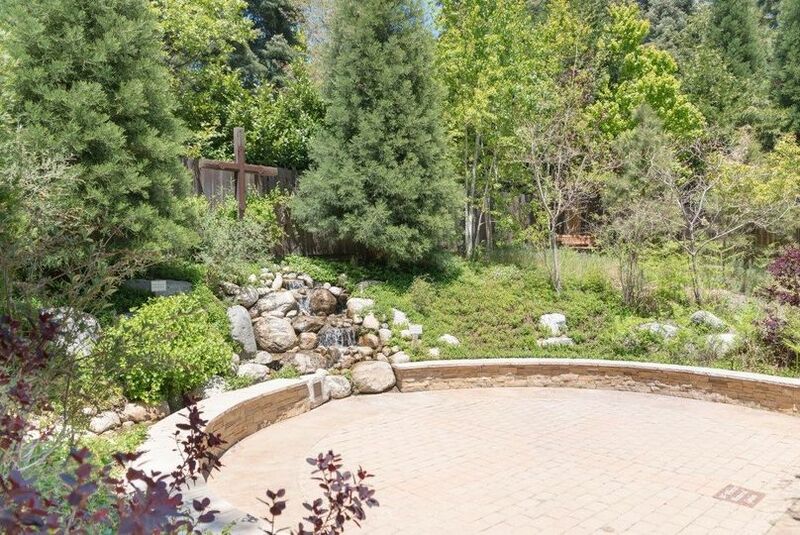 The garden ceremony venue is circular with bricks that surround the entire area with a beautiful wood cross and waterfall feature. The arch is cascaded with green ivy and has a sweeping walkway that is surrounded by forest and gardens. We had an indoor and outdoor reception: indoor for eating, outdoor for dancing and additional seating.